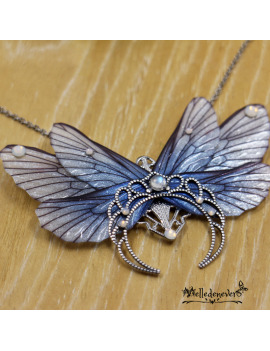 Necklace with stainless steel hypoallergenic surgical chain adorned with rigids fairy wings. This creation is surmounted by a cristal quartz. On wing measure 5,8 cm long.